A photographer’s dream, Navy Yard is filled with impressive #views, delectable #foodie-approved restaurants, and stunning architecture that require #nofilter. Just search the bustling neighborhood next time you’re on Instagram and you’re bound to uncover visual gems and intriguing new places that span numerous scrolls through your feed. To highlight just a few, we’ve broken down some of most Insta-worthy spots in and around Navy Yard for you to check out next time you’re in the area. Blind Whino: Formerly a 19th century church, the Blind Whino currently hosts the Southwest Arts Club of Washington, DC and serves as a well-hidden cultural gem and gallery space for all. 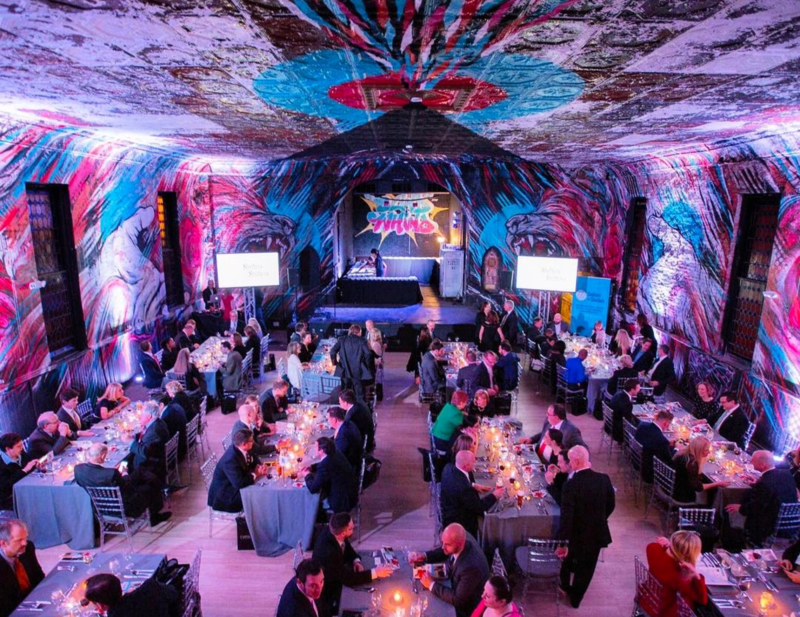 As if its whimsical exterior isn’t eye-catching enough, the venue’s interior lounge and performance spaces are equally as eclectic and offer a perfect pop of color to anyone’s Instagram feed. 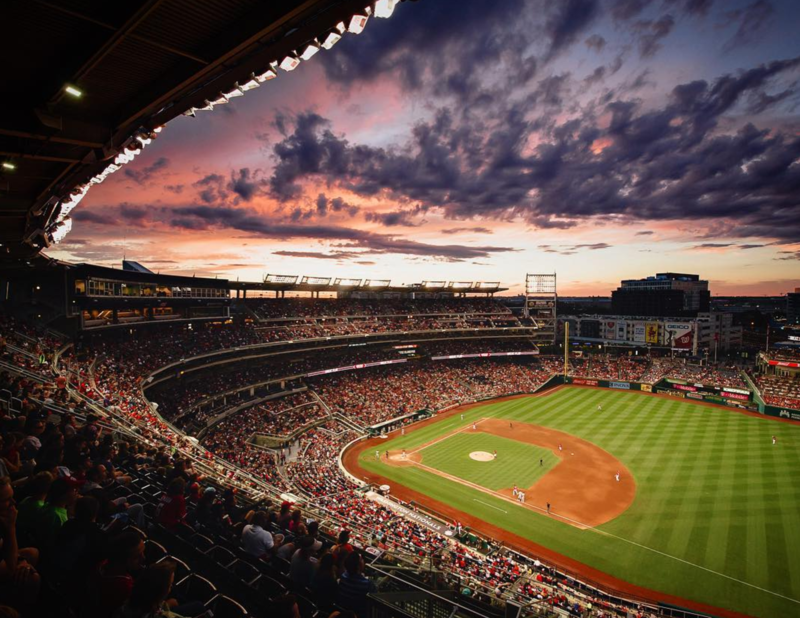 The Ballpark: No matter how good your seats, you’re bound to score an awesome ‘gram at Nats Park. 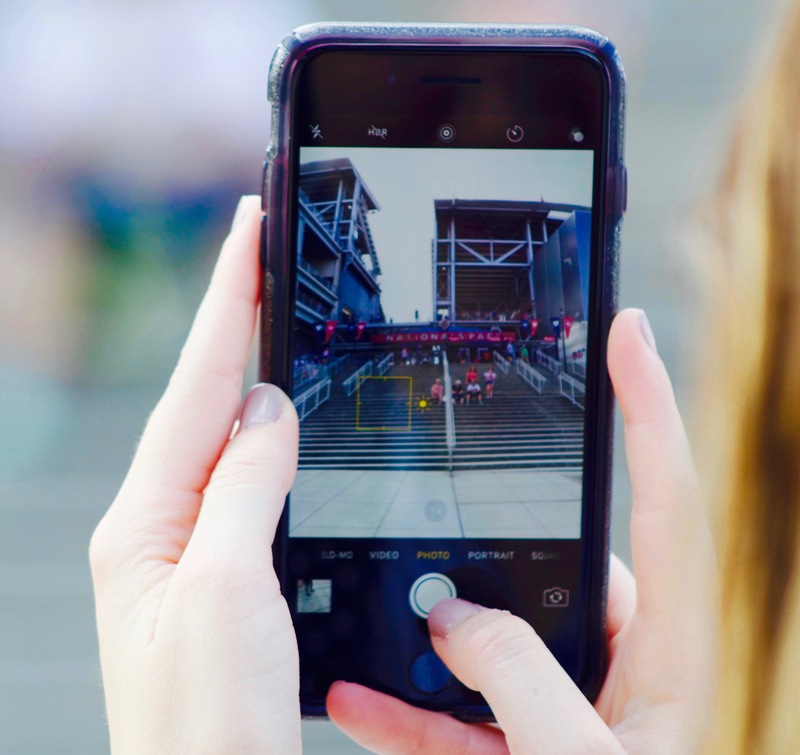 Whether it’s a sweeping view of the stadium, or a close-up of what you’re grubbing on, there’s plenty of photographic intrigue at this state-of-the-art ballpark. 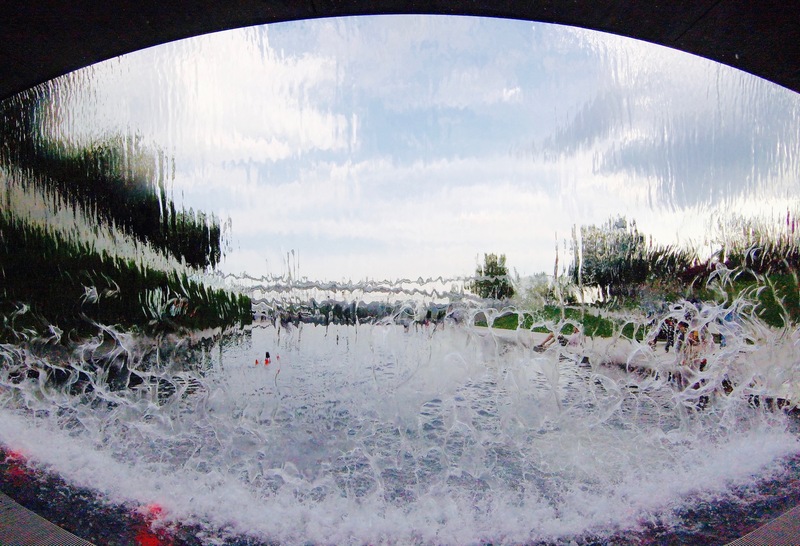 The Yards Park Water Features: The dancing fountains, cascading waterfall, and wading pool aren’t just good for cooling off – their constant movement also makes for the perfect boomerang or time-lapse video. Check them out next time you wander through Yards Park. 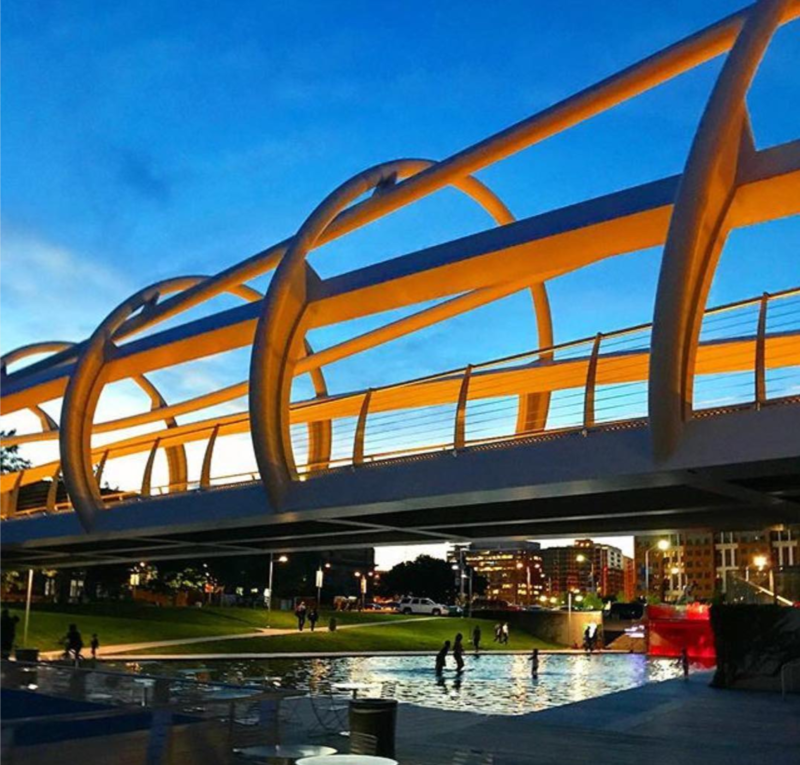 The Yards Park Pedestrian Bridge: The park centerpiece’s dramatic curves and sweeping geometry make for a compelling addition to an Instagram feed. Strike a pose in front of this popular structure by day for a bright and airy photo, or by night for a moodier, more dramatic shot. Navy Yard Metro: If you’re a sucker for symmetry, the Navy Yard Metro station is the perfect place for an architectural shot of Southeast DC. 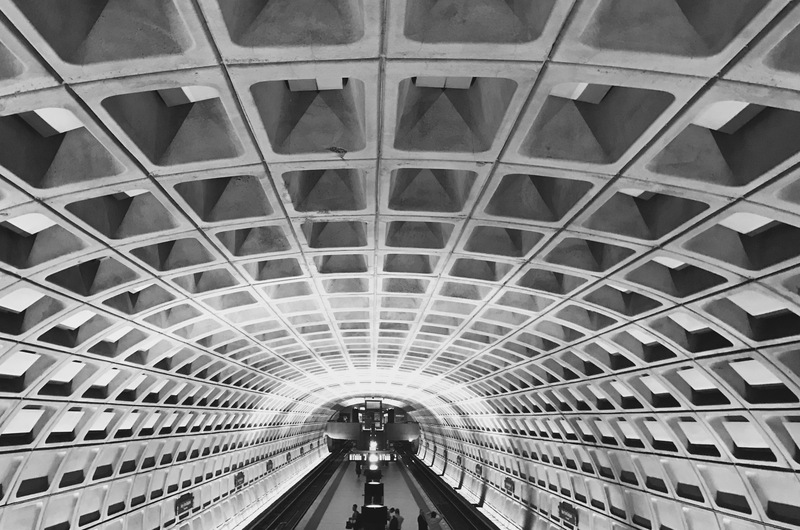 The award-winning transit system’s brutalist design, iconic waffle-style vaulted ceilings, and upward-facing recess lighting are the perfect recipe for a consistently striking photo (and look great in black and white). The Sunset (or Sunrise) on the Anacostia: The Mall’s Reflecting Pool isn’t the only place to get an impressive photo of the DC sunset. 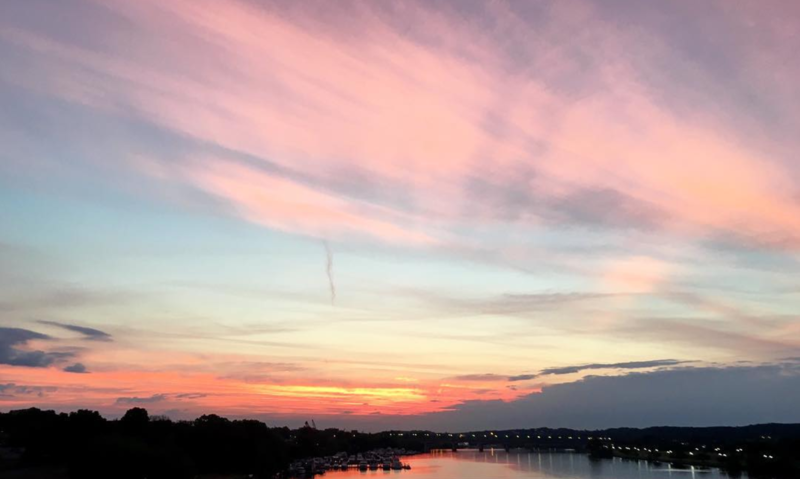 The banks of the Anacostia also provide a beautiful venue for a photo shoot at dusk amid the buzzing crowd of Navy Yard happy hour goers, or a perfect sunrise spot amongst the early birds getting in a morning workout. Want more Navy Yard photo inspiration? Follow us on Instagram!